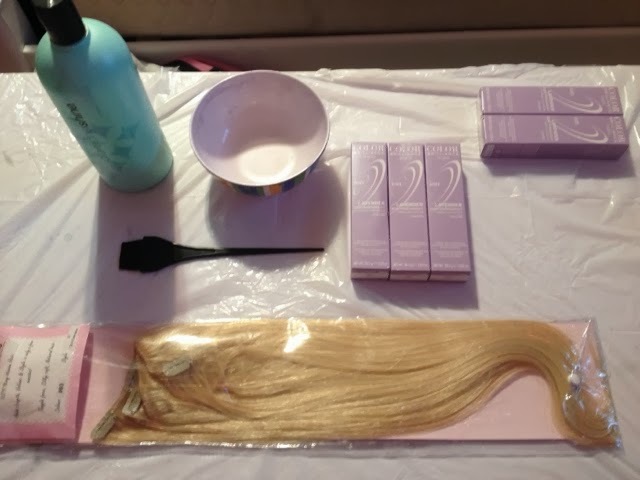 Dyeing my Foxy Locks Extensions! 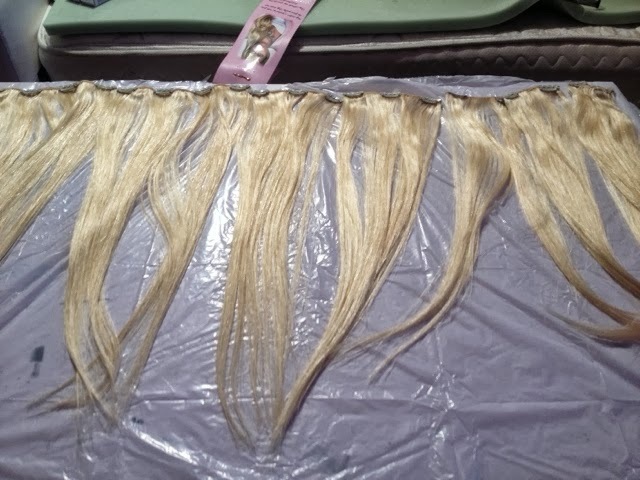 Hey guys, as you can see in my last post (HERE) I finally received my Foxy Locks Hair Extensions! 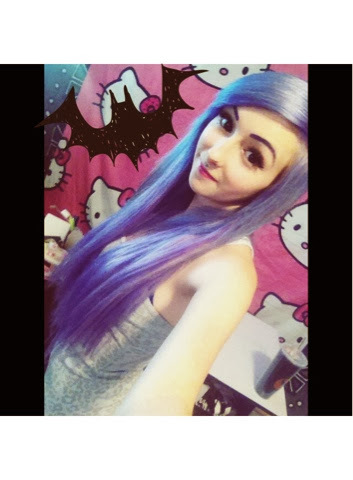 And then of course I had to dye them because I am not blonde, I am lavender! So I went to Sally's and bought all of their lavender dye (They only carry 5-6 boxes a week woops) because I didn't want to run out! What you're going to need! So a lot of hair! I only chose to buy the 125g hair so it wasn't too thick. This was the end result! 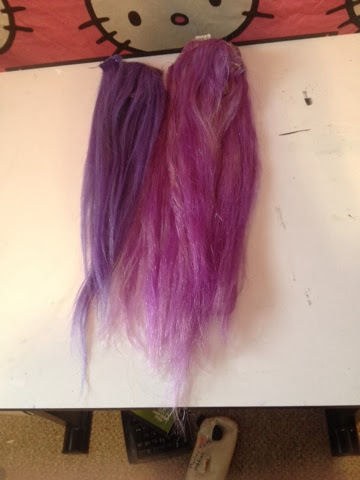 The hair extensions on the left are my old ones which matched my hair exactly. The hair extensions on the right are my new Foxy Locks extensions that came out to be.. well a little different of a colour. At first I was really upset about it but I got over it because they really don't blend too badly and they're cute! 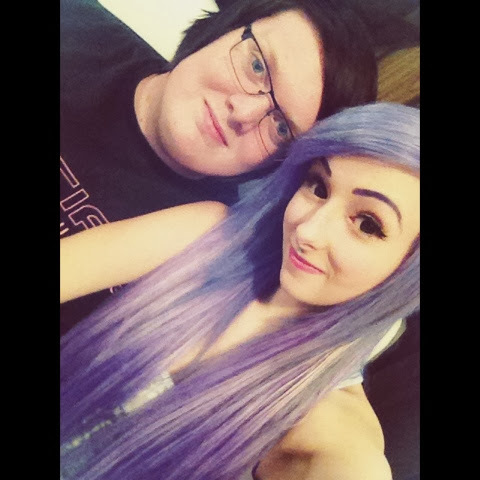 And here's some cute photos of me and then me and my boyfriend! I like that in pictures because of filters and such you can't really see the difference. 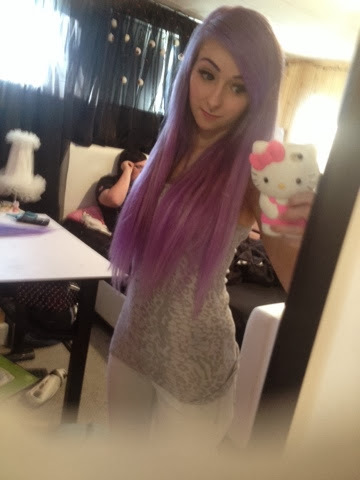 I will eventually be working on making the extensions my hair colour in the future. Thanks for reading! I'm also going to be having a giveaway very soon, once I reach 5000 blog views and I am almost there!